Regular fit. 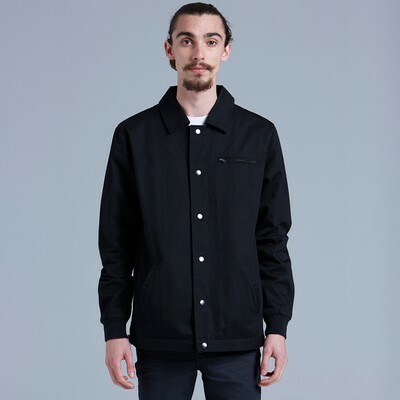 Button-up collared work jacket, dome closure at front, zip breast pocket, 2 side pockets and 1 internal pocket. Heavyweight, 310 GSM. 100% cotton drill (cotton body liner, polyester sleeve liner). Domes and zips in anti-black, ribbed sleeve cuffs, adjustable domes at side of waist.